A former Florence, MT resident was killed over the weekend when he was hit by a Jeep during a popular four wheel drive event in Southern Utah. The San Juan County Sheriff's Office says Christopher Hower, 30, was killed when he was struck by a vehicle at a rock climbing event 15-miles south of Moab. Deputies say Hower was shooting photographs and was in an unauthorized area of the track on private land in the Black Ridge area when he was hit by the 4x4 as it came off a designated jump on the course. Power, who now lives in Ely, Nevada, is a native of the Bitterroot Valley. His father - Thomas Hower and his step-mother - still live in Corvallis. His mother, Marie Hawkins, lives in Ely. The family says services are pending. The accident happened during the annual Jeep Safari, which draws thousands of people to the Moab area during Easter Week. Sad sad tragedy. There are lessons to be learned here though. I will be going down to Moab this summer, but hopefully I won't find myself at the bottom of a jeep jump. No photograph is worth that risk. Of course he may not have been able to predict that risk if he did not know of his surroundings (i.e. that hill right there is actually a jump aimed right at you). Last edited by Zephos; 04-06-2015 at 07:48 PM. 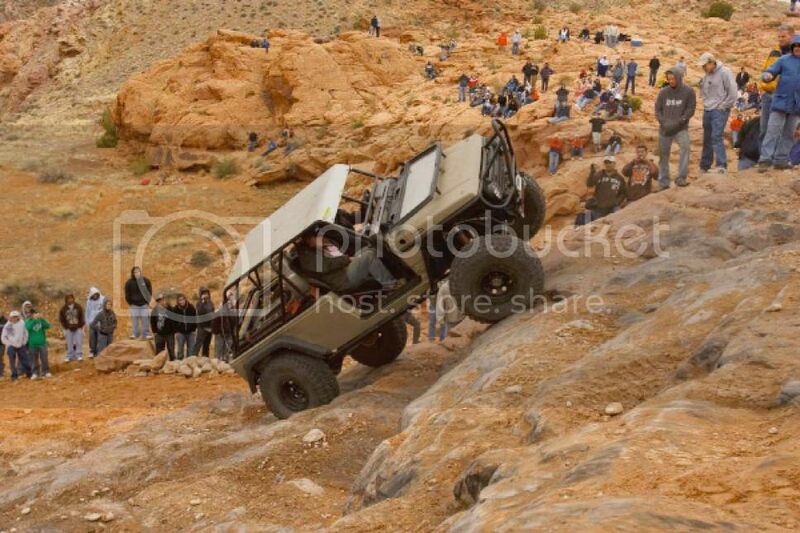 This is the kind of area at Moab that one encounters, at the Jeep Jamboree. I have covered many motorsport events, and it is so hard to predict what a vehicle is going to do. The best bet is have a longer lens for safety sake, and scope out ahead the possible paths a vehicle can take. Terrible accident and very sad all around. I've accidentally been to Moab for mountain biking and camping during the Jeep Jamboree and swore to do my homework better in the future. Too many people, too many 4x4s everywhere and just not my kind of scene at all. I'm a little surprised this kind of thing doesn't happen more often. I've photographed motorcycle and ATV racing and it can always be a little dangerous. Actually, motorsports of any kind have the potential to be dangerous for the photographer. It's very tempting to try to get in closer and get different looking shots than all the other guys with the long lenses but there is risk involved. JohnE's photo is typical of may events I go to and even the spectators are at risk. They have an advantage in that they can move quickly and aren't encumbered with camera gear.